This FREE eBooklet is only available for a limited-time. Another quality eBook from Chapel Library. 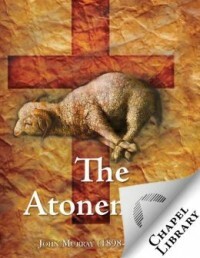 Attacks on the Biblical doctrine of the atonement have taken many different forms. At times the errors have been cleverly robed with Biblical phraseology and have deceived the unsuspecting. The Biblical terms sacrifice, propitiation, reconciliation, and redemption have often been given a meaning that finds no parallel in Scripture. The motivation for this, as some claim, is to protect the love of God. Since it is God Himself who has revealed the way by which He may be propitiated and reconciled, we must allow the Scriptures to define its own terms. In a warm, devotional manner and with a lucid style, Professor Murray brings to light the Biblical significance of the terms used to express the atonement. He clearly reveals that the terms of Scripture do not deny the love of God but bring it out in bold relief.